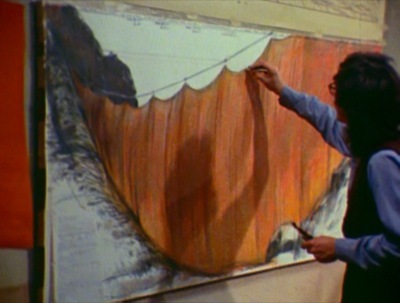 The deep pleasure in this DVD is watching an artist work, from concept to final execution, on two of America’s finest modern art pieces: Running Fence and Valley Curtain. 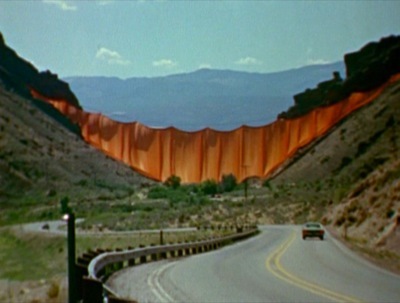 Running Fence was a 24-mile 18-foot fence of white fabric zig-zagging across farmland in northern California, till it ran down into the Pacific ocean; Valley Curtain was a huge orange drape hanging across a canyon in Colorado. Both extravagant structures were deliberately temporary — 2 weeks. 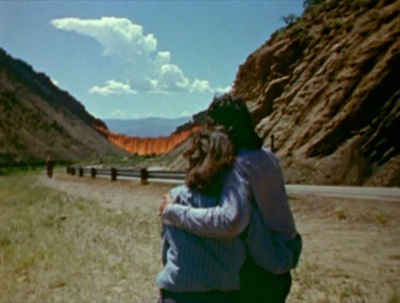 Nonetheless the relentless political opposition to these ephemeral public works, an opposition conducted primarily by misguided over-zealous environmentalists, became in Christo’s hands, part of the artwork itself. 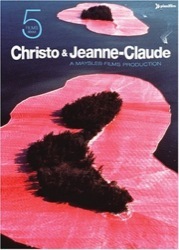 This pair of documentaries spends much time on Christo and his wife’s frustrating campaign to convince landowners, politicians, greenies, engineers, and even other artists that their work was art. 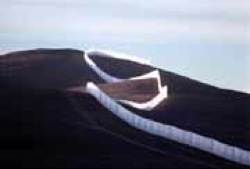 Understanding this resistance elevates your appreciation of the magnificent land-art pieces when completed. wow Running Fence looks pretty cool. I will have to check out the documentary.